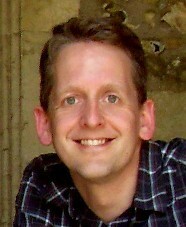 Ian came to Peebles Baptist in 2011. Originally from Surrey in England, Ian came up to Scotland to go to University and never quite got away… Having spent most of his career working in IT with computers, he’s now having much more fun working with real people. Ian is married to Lindsey, has three children who are getting old too quickly, and a Sprocker Spaniel. In the evenings you may find him stargazing or loosing (and occasionally losing) arrows.